Sell 20 delicious, sweet and savory treats for only $8.00 each! 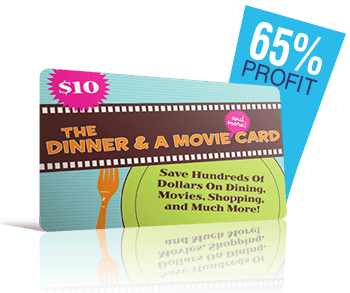 Fun and easy way for your group to earn up to 100% profit! Soccer ranks in the top 3 most played sports for youth in the United States with a popularity that continues to grow along with the influx of well-known soccer superstars into American leagues. Globally, soccer is considered the most popular sport, in part, because of its relatively low cost of participation. But competitive travel play can add a considerable amount of cost to this otherwise low-cost sport; additional costs include professional coaching fees, field rentals, equipment bags, food and travel expenses. Leagues and tournaments outside of schools can exceed $1,000 per year. Profitable soccer fundraising ideas can help you manage these costs. Two common ways to fundraise are event fundraising and product fundraising. Event fundraising can be a great way to raise funds and usually includes fun activities like car washes, raffles, silent auctions and dinner events or galas. 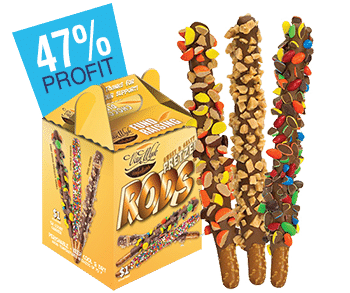 Product fundraising is another option for soccer teams which can be done by selling popular items like cookie dough, nuts and snacks, spirit wear items and candy bars. How should you address your team’s fundraising challenges? 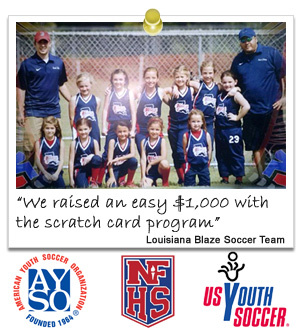 For the past 15 years, Just Fundraising has been helping teams that belong to organizations including US Youth Soccer Association (USYSA), AYSO and the NFHS to successfully reach their fundraising goals. We know that fundraising can be challenging so we work with you to make the experience easy, fast and of course, profitable. We have helped high school and community soccer teams achieve their goals with fundraising profits as high as 90%! Our winning line-up of no money-up-front fundraisers, means you can run your fundraiser with no financial risk. For helpful fundraising tips on how to setup your soccer fundraiser click here or scroll-down the page. JustFundraising offers 2 methods of product fundraising – order-takers (or brochures) and direct-sellers (also known as show-and-sell). 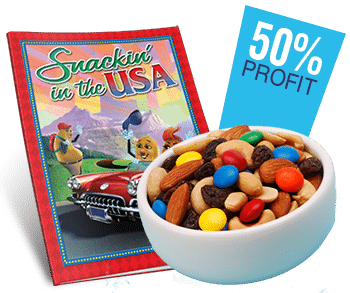 Order-Takers are brochures featuring quality items to sell, such as cookie dough, gourmet snacks and gift items, usually priced between $5 and $25. 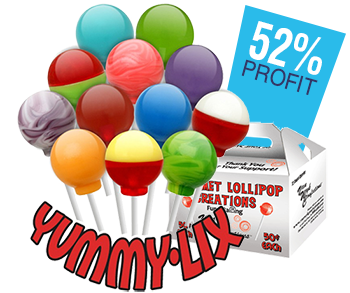 We’ll send them to you free of charge so you can start selling, and earning up to 55% profit. 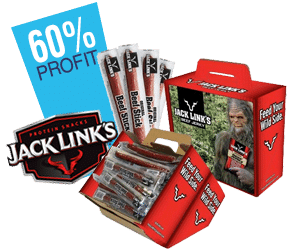 Direct-Sellers are any product that you have in-hand to sell such as lollipops, Hershey’s candy bars, beef sticks and scratch cards, usually priced between $0.50 and $5. Free Shipping on all. IS THE FUNDRAISER PRODUCT OF HIGH QUALITY? There are lots of people who will happily give to a great cause but an incredible product is an amazing motivation. 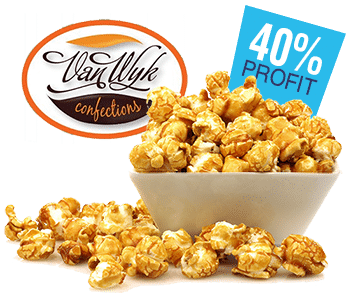 Offering an item that everybody loves will assure your cause is appreciated and quite often your supporters are going to be asking when the following fundraiser is! Whenever you provide top quality fundraising goods, you’ll establish pleased supporters which will buy from your Soccer team once again. DOES IT OFFER A DECENT PROFIT LEVEL? As pointed out above, great products can certainly create constructive change to your fundraising events, however if they don’t generate income for one's Soccer team they aren’t of any help to you. Make sure that all of your conviction makes sense by selling something which yields no less than 40% profit for your team. Extra cash represents much more time on the soccer field! DOES IT HAVE THE BEST PRICE POINT? Nearly every community is distinct - their price tolerance for any fundraiser product can vary from $1 to $20 - ensure the merchandise you’re providing is costed affordably for the local community. IS IT IN DEMAND? Take note of your town. You need to sell something that people truly want. 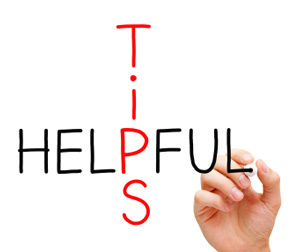 Follow this straightforward guideline and it'll improve your fundraising sales tremendously. What’s greater than an item which markets itself? We want to help. Call one of our experts at 1-888-440-4114. We’ll answer your questions and help you find the perfect fundraiser for your soccer team. Consider giving each volunteer their own individual ‘account’, so they’re directly compensated for the funds they individually raised. Challenge your team with rewards for quickest / biggest sales. Split up into teams and reward a winner for biggest revenues. Publicly commend your team for a good job. Maintain the feeling light and fun so there is not any anxiety involved. Volunteers and players need to know just how many items you will be expecting them to supply to be able to reach your Soccer team’s objective. Volunteers should know for what reason they may be fundraising and where the investment will go - e.g. We must have an extra $2k for bus rentals for the remaining portion of the away games this season. Supply volunteers with the ultimate pitch inside a letter. 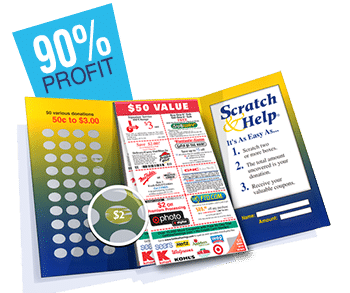 It has to incorporate a list of your fundraiser item features and benefits, together with the objective of your fundraiser, so that they can appropriately get the word out and generate sales among friends, neighbors and acquaintances easily. Make full use of web 2 . 0 each week to spread the word regarding your fundraiser to parents and friends to make sure the word can extend further with a mouse click. Be sure that a major “Thank you!” goes out to all parents, supporters and volunteers immediately following the fundraiser. It’s an outstanding thing for them to unite under your cause so make them cognizant precisely how much you appreciate their dedication! Smaller youngsters should be coupled with grownups when going house-to-house. Minors of an older age should make use of the buddy system ensuring to have no fewer than 2 players traveling together. Do not enter into the home of unknown people when going door-to-door. Fundraising activities should happen outside the door step, several feet from the door to make sure neighbors and passersby have got a clear viewpoint. Do not keep large volumes of money currency. Have volunteers deposit cash in a secure location on a frequent basis to make certain they are not holding too much when going door-to-door. We ran the Victory Scratch Cards fundraiser to help off-set the cost of buying new uniforms and equipment for the Spring season. We are a soccer team associated with Young Life. We needed to raise money to enter a better league in town. We raised $540 and payed the city in order to enter the league. Thank You JustFundrasing!.